Koraput District located in the backdrop of green valleys contemplating immaculate freshness, was established on 1st April, 1936. Decorated by forests, waterfalls, terraced valleys and darting springs, the District draws the nature loving people. The Koraput District lies at 17.4 degree to 20.7 degree North latitude and 81.24 degree to 84.2 degree east longitude. 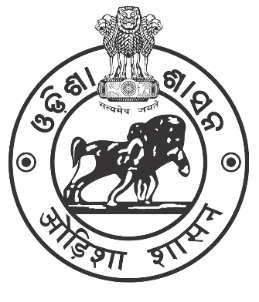 The District is bounded by Rayagada in the east, Bastar District of Chhatisgarh in the west and Malkangiri District in the south. As far as the history of the District is concerned, the region of Koraput existed far back in the 3rd century BC when it belonged to the valiant and dreaded Atavika people. The region was ruled by several dynasties, like Satavahans, Ikshvakus, Nalas, Ganga kings and kings of Suryavanshi, who nominated the Koraput region before the arrival of British. Finally the Koraput became a District in the year 1936. The Koraput District covers an area of 8807 sq km consisting total 13,79,647 population as per 2011 census. The District has got 2 sub divisons namely Koraput and Jeypore. There are total 14 Tahsils, 14 Blocks, three Municipalities, one NAC, 23 Police stations, 2028 Villages and 240 Gram Panchayats functioning in the District of Koraput. Koraput District experiences minimum 12.0 celsius and maximum 38.0 celsius temperature. The District experiences mainly three seasons i.e summer, winter and rainy. Summer occurs from April to June, Rainy season is from June to October and Winter is from November to March. Winter season in Koraput District is longer than other parts of Odisha. The average rainfall in the District is measured to be 1505.8mm(Average) rainfall. The Economy of Koraput District is primarily based upon forestry and agriculture (including shifting cultivation), the bulk of commodities used domestically for everyday use are agricultural and forest products. The District with semi evergreen to deciduous vegetation endowed with various wild plants as a natural resource. The perennial streams and rivulets, the availability of huge under utilized ground water, the potentials to promote eco tourism, the women self help groups who have taken responsibilities of implementing mid day meal, Public Distribution System and other economic activities and the village and cottage industries in different parts of the District are the strengths of the District’s Economy. Agriculture is the mainstay of the Economy of the Koraput District because around 83 percent depends on it. The soil and climate in the District are favourable for taking up of agro horticultural activities. The suitability of soil and climatic condition for production of coffee, cashew, cotton, tobacco, vegetable and fruits and the production of these crops strengthen the economy of the Koraput District. The common annual food crops grown in the District are paddy, millet, maize and pulses. As per education is concerned, Koraput District has got 49.21 percent lteracy rate. There are total 3,40,843 literate male and total 2,27,247 female in the District. There are many educational institutions in Koraput District. Jeypore Law College, Samanta Chandrasekhar Institutes of Technology and Management, D.A.V College for Teacher Education, Sri Aurobindo Purnanga Shikshakendra are Siddharth Institute of Engineering and Technology are the important educational institutions of the District. There are various historical places to be visited in the Koraput District. Places like Gupteswar Temple, Jeypore, Sabara Srikhetra, Koraput Museum, Duduma waterfall, Kolab dam, Daman jodi, Jain Monastery, Maliguda are the places that are visited by lots of tourists round the year. District of Koraput celebrates many festivals with great enthusiasm. Common festivals of the District are Chaitra paraba, Bali yatra, Sume Gelirak, Dashara feast, Sivaratri, Holi, Ratha yatra. Parab is the most important festival being celebrated every year in the district which includes dance, music and celebration.